With sirens blaring, the courageous fireman and his fire-fighting mouse race to the rescue! And of course, his lights are flashing, too. 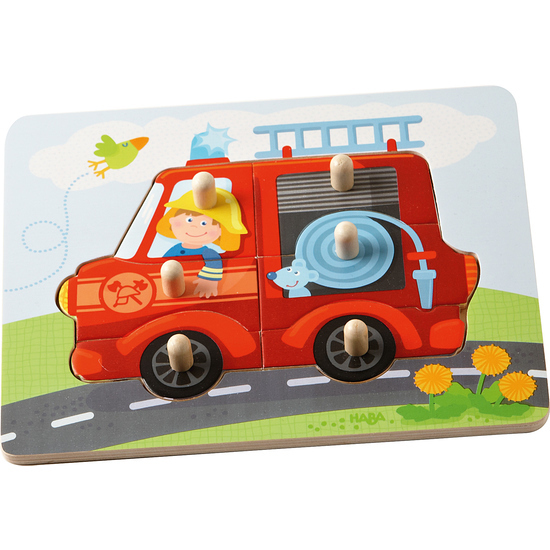 Little puzzle friends can assemble the 6-piece fire engine. An excellent introduction to puzzling!